I knew R(Quel) since middle school but we weren't close. We didn't get close until we started working under the same company (her being ahead of being employed by more than a year than me) and sometimes it still shocks us how we have gotten close. And along with R, you become friends with her boyfriend, F(Jon). F is a creative, I idolize all his designs as an Art Director. It's a little intimidating sometimes. When 2017 started, I wanted to practice a certain style of photography. I wanted an edgier look to posing and photos, I wanted to dabble in 'moodier' portraits. Something so different from my usual brand. I approached R if I can do a photoshoot for them as a barter trade to F designing our logo (the logos you see now was allll because of F, who if I may add, designed the logo in less than 5 minutes). When I was building a mood board to gather my visuals, I named their board #FERQUEL2018 as a joke and when they posted these photos, they used the hashtags #FERQUEL2018... They weren't engaged then but I guess you can say, we called it. 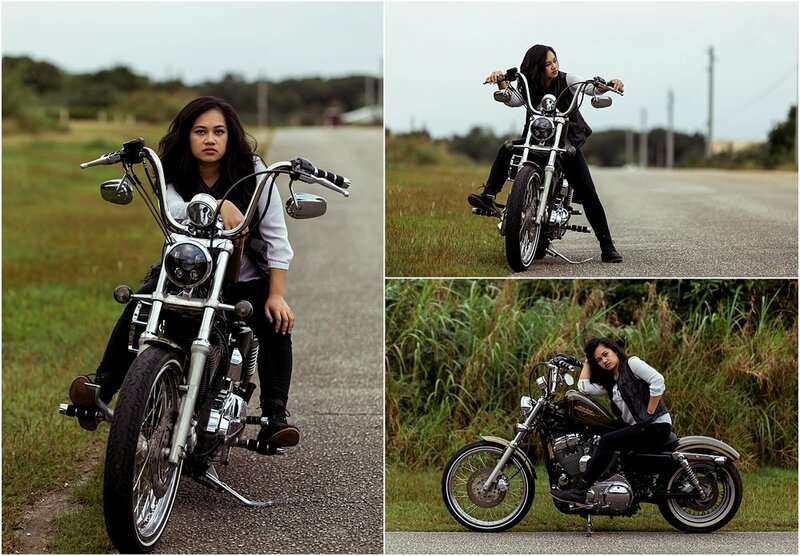 To get into the mood for an edgier look, I asked if we can take photographs of them with their motorcycle and hooo-booooi, I’m so glad they said yes!!!! 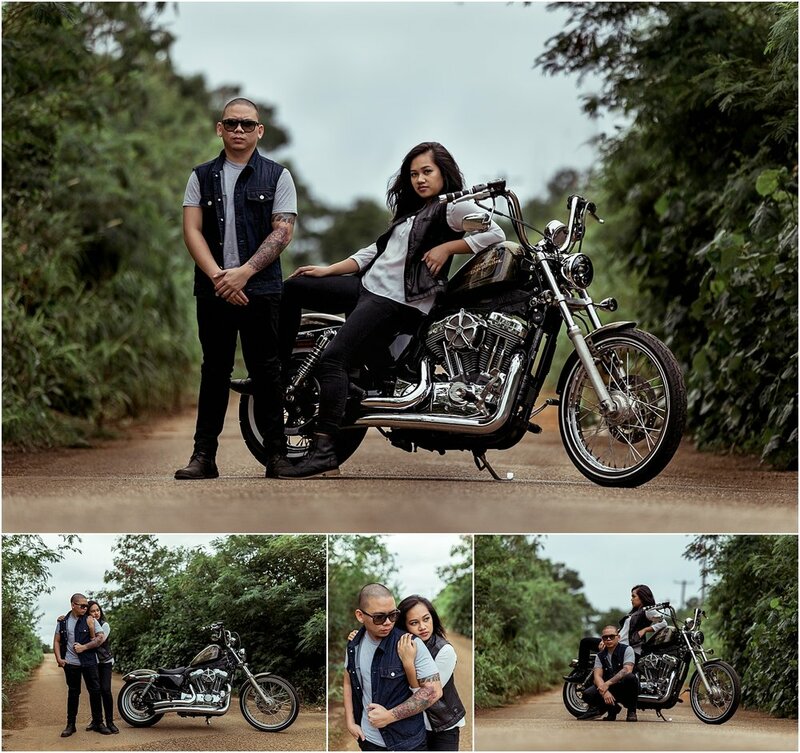 It was so fun and we hope you enjoy their first photosession with their motorcycle!! 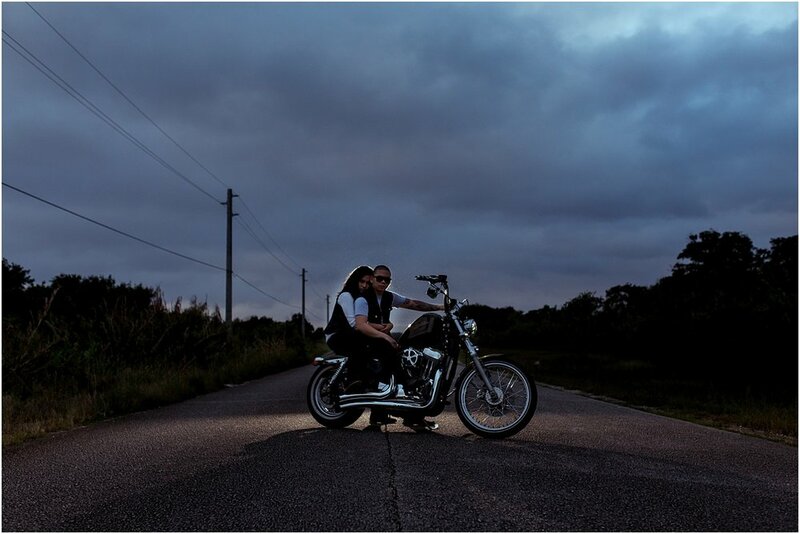 We’ll post their coffee shop engagement session soon but FOR NOW… Check out their motorcycle session!!! !